Choosing the right FPV camera for your drone is incredibly important. It literally determines how good (or bad) your experience is when flying in FPV. We recommend that you read this article in its entirety as we will tell you what the top 5 best FPV cameras are in 2017. Investing in a good FPV camera is worth every penny. There are plenty of cheap cameras out there but these will only limit your experience and make flying pretty unenjoyable. However, we understand that not everyone can afford the top of the range latest cameras so we have also included low budget cameras on this list which we deem to be high enough quality to still give you a good flying experience. The way in which we have created this list is primarily through personal experience. All the FPV cameras on this list have been tried and tested by all of us here at DroneUplift hundreds of times. However, we have also gone out and asked/read up on what the community recommends too and so have considered the widest range of cameras possible. Therefore, without any further comments, these are out top 5 best FPV cameras of 2017. The Foxeer HS1177 the ‘go-to’ FPV camera for most pilots out there. This is because it hits the sweet spot between performance and price. Costing just $35 yet still producing crisp, high-quality video means that almost every pilot I know uses the Foxeer HS1177 regularly (including myself). There are a number of other factors that make this camera just so desirable. Firstly, it is small, and all self-contained in one single protective case meaning it is very little hassle to attach to your quad. Secondly, it is very lightweight (14.6g with the bracket) meaning that it will not have much of an impact if your FPV racing. Thirdly, it is easy to setup, you pretty much just attach it to your quad, plug it in and fly! There are other features too such as its adjustable tilt allowing for different camera angles and its wide range of input power (5 -17 volts.) Not to mention its excelent dynamic range and ability to film in different lighting conditions. Ultimately, for value of money, the Foxeer HS1177 is the best FPV camera on the market at the moment. 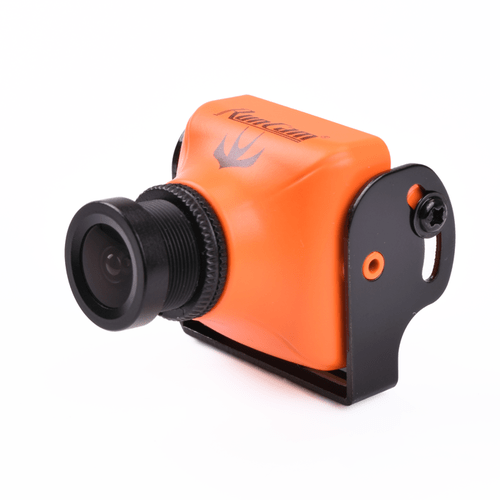 The Runcam Eagle FPV camera the most premium camera on the market. In terms of performance, it is better than the Foxeer HS1177 listed above. However, the reason it is second on the list and not first is because it costs significantly more money – around 60 bucks. There are a number of reasons why this camera is so good. Firstly the Runcam Eagle doesn’t use plastic like most FPV cameras but instead uses a light weight Magnesium Alloy meaning that not only is it more robust, but it is also much better at regulating its temperature. Basically, this Runcam Eagle is less likely to break than any other FPV camera on the market meaning you won’t have to spend any more money on replacement cameras in the future. 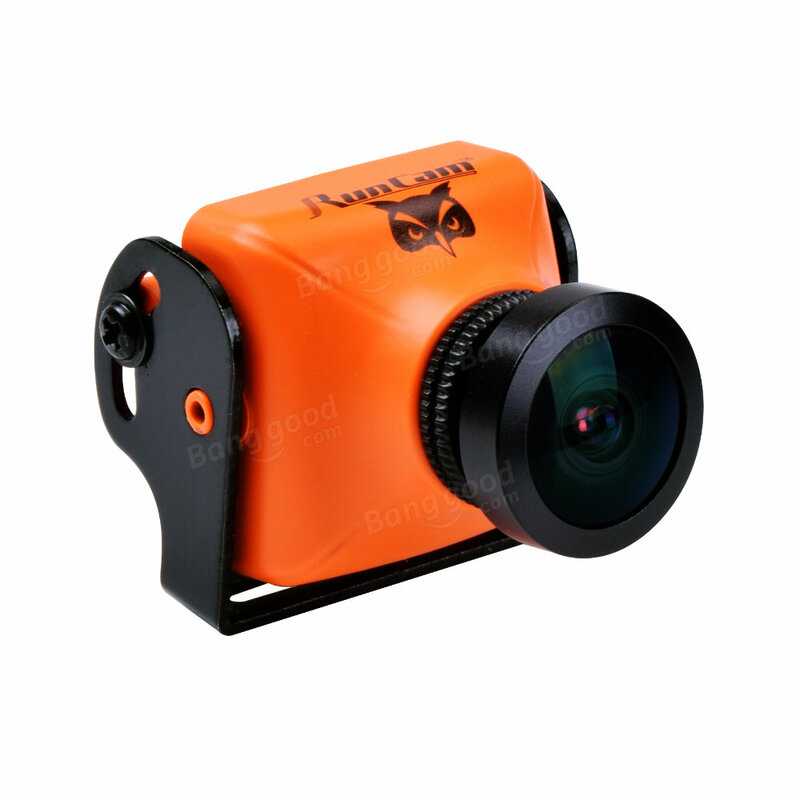 Secondly, the two models of the Runcam Eagle each have different ratios – 16:9 or 4:3. Thus, regardless of what type of goggles you use, your image will be completely immersive. It also uses a CMOS sensor – a new technology which is faster and more efficient than the CCD used in most FPV cameras. Finally, the quality (and perhaps most importantly) the quality of this FPV camera is simply better than any other that we tested. The Global Wide Dynamic Range (WDR) provides better lighting transitions than any other FPV cameras yet maintains a sharp and crisp image. The FOV is 130° and the camera supports both NTSC and PAL video format. Although this FPV camera is more expensive than the others on the list, it has the best quality video and is the most robust meaning it is worth every penny in our opinion. 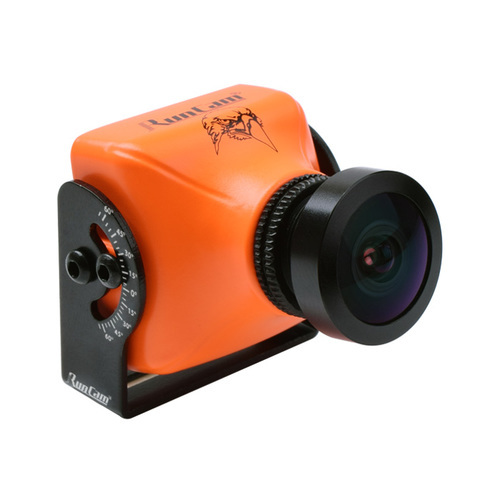 Therefore, if you are able to afford the Runcam Eagle we strongly recommend you buy it. However, if you’re thinking that it may be too pricey, then you may want to instead opt of the HS1177 shown above. an integrated OSD which is really useful since it can show you the battery voltage on the screen removing the need for an additional OSD. The on-screen display also has a few other features too such as a timer, the pilot’s name, and a baseline. One feature we particularly like about the Swift 2 is how the inbuilt microphone has been added to the back of the camera meaning that wind power has been significantly reduced. In terms of the lens, you can choose between a 130° (2.5mm) lens, a 150° (2.3mm) lens and a 165° (2.1mm) lens. We found this FPV camera to be tough and should, therefore, be resistant to breakages when you crash. We noticed that the camera has has a slighlty worse image quality when compared to the Eagle and the colors are less vivid. However, this is nearly half the price and therefore is a good alternative to the Eagle. The Runcam Owl Plus is our ‘go-to’ FPV camera choice if you are wanting to fly during nighttime. However, it is still on this list here because it works really well in the daytime too. If you are going to be flying during nighttime, then buy this FPV camera right now! In extremely low light, it still manages to create a picture when other cameras, such as the Swift and Eagle pretty much just show a black screen. However, in daylight, the camera isn’t as good as those shown above – the dynamic range is okay but not great. I found that the OSD is pretty straight forward to use, I just activated the DWDR and then played around with the colors and contrast for a bit. 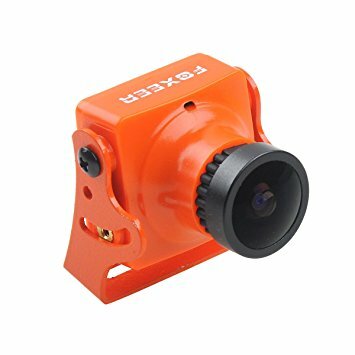 Overall, I think you should buy this FPV camera if you know that you will fly during the night time. However, if you are strictly a daytime pilot (like most of us are) then I would stick with the options listed above on this list. 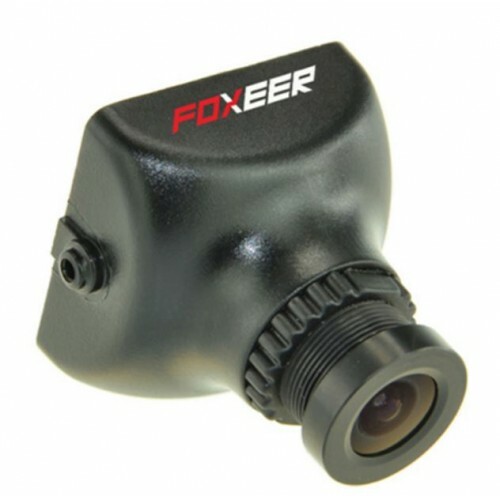 The Foxeer Monster is a 16:9 1200TVL wide angle FPV camera. The first thing I noticed when using this FPV camera is that the colors are very beautiful and vibrant. However, one clear weakness that we found is lighting. Shadows are often not very visible when flying in FPV. You can adjust this by increasing the exposure backlight; but this makes some parts of the video over exposed. Despite this, however, the camera comes in an alloy case meaning that installation onto your quad is easy and the camera itself is strong. It also has a low latency and a wide voltage input range from 5 – 40 volts. The reason I would buy this FPV camera is if I was looking for a 16:9 wide angle camera but couldn’t afford the Eagle. Thank you for reading this top 5 best FPV cameras list. If you have a topic which you would like us to post about then feel free to email us or to leave a comment in the section below. Thanks for this roundup. It has really helped me to understand the different types of FPV cameras. I noticed that there are a lot of cameras available that seem to have no protective case around them to save weight. Do you know what the pros and cons are of these cut down cameras?